Located within 5 minutes of London Bridge station, with all the amenities of More London, Borough Market and Bermondsey Street, our meeting rooms, training facilities and consultation rooms are available for hire. Excellent transport links, with green spaces, the river, shops, supermarkets, independent cafes and restaurants all on our door step - the location for your private practice, training or meeting couldn't be better. Rooms can be hired from 8.00am to 9.30pm Monday to Friday, and 9.30am-5.30pm at the weekends. The building also hosts our training and development programmes. Registered users may book rooms online and all users may view the room schedules to check availability. Sign up to create an account and manage your bookings online. 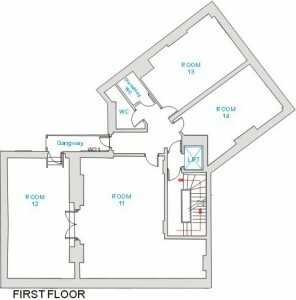 The basement floor has one medium sized training room and one small training room. 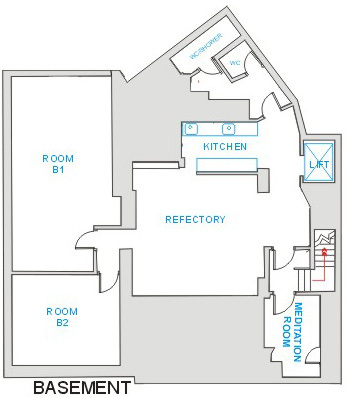 The large medium room is approximately 420 sq ft, and the small room is approximately 195 sq ft. Central to these rooms in the basement, there is a Refectory, which has kitchen facilities such as microwave, hot water urn, kettle, refrigerator, sink and dishwasher. The refectory is available for the use of hirers and students at the Trust at no extra charge. Located beyond the kitchen are two unisex toilets. Basement Library Small/Medium Meetings, conferences and training 11.50 / 12.50 n.a. n.a. n.a. Basement Meditation Room Small Counselling room - 1-3 people 11.50 / 12.50 n.a. n.a. n.a. 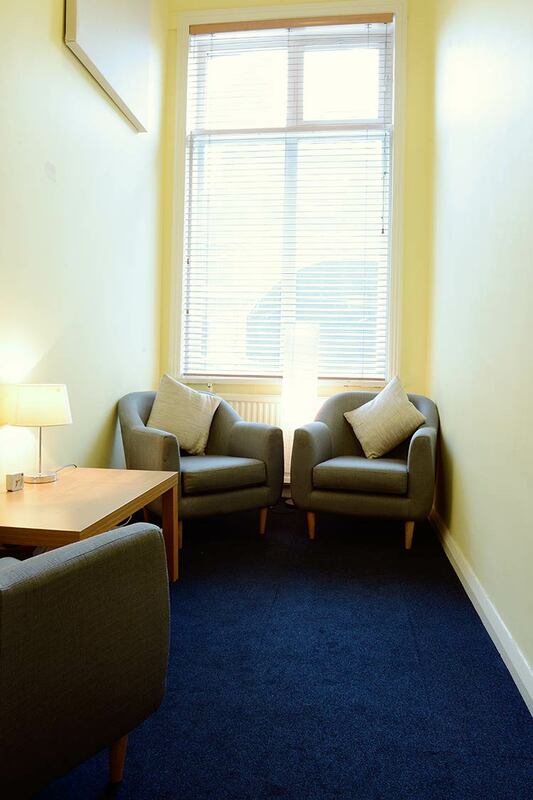 The ground floor has 10 counselling rooms, of approximately 112 sq ft and a waiting area. The ground floor also has a Reception, which is open weekdays from 8:00am - 5:00pm. 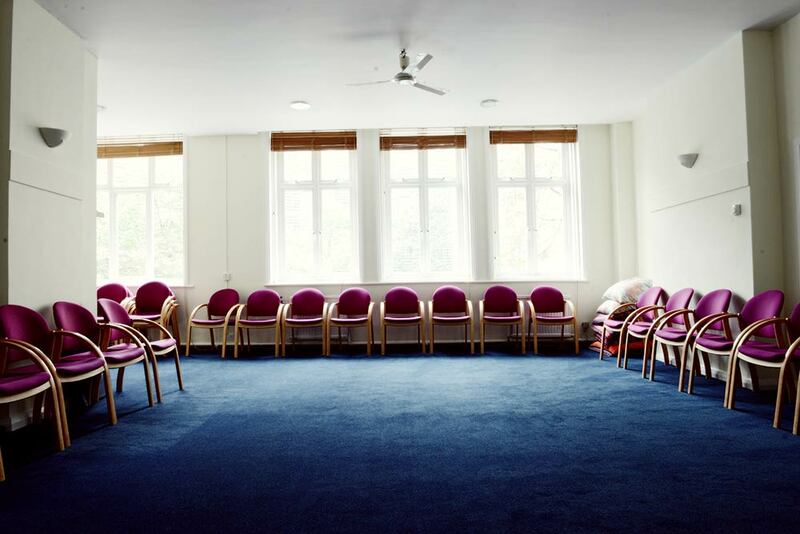 Ground Floor G2 Small Counselling room - 1-3 people 11.50 / 12.50 n.a. n.a. n.a. 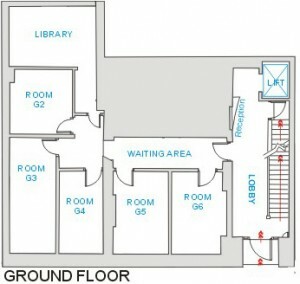 Ground Floor G3 Small Counselling room - 1-3 people 11.50 / 12.50 n.a. n.a. n.a. Ground Floor G4 Small Counselling room - 1-3 people 11.50 / 12.50 n.a. n.a. n.a. 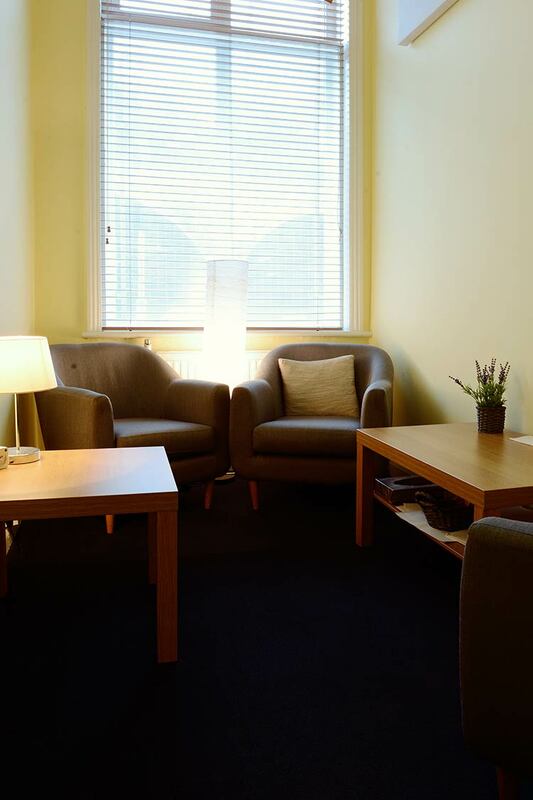 Ground Floor G5 Small Counselling room - 1-3 people 11.50 / 12.50 n.a. n.a. n.a. Ground Floor G6 Small Counselling room - 1-3 people 11.50 / 12.50 n.a. n.a. n.a. 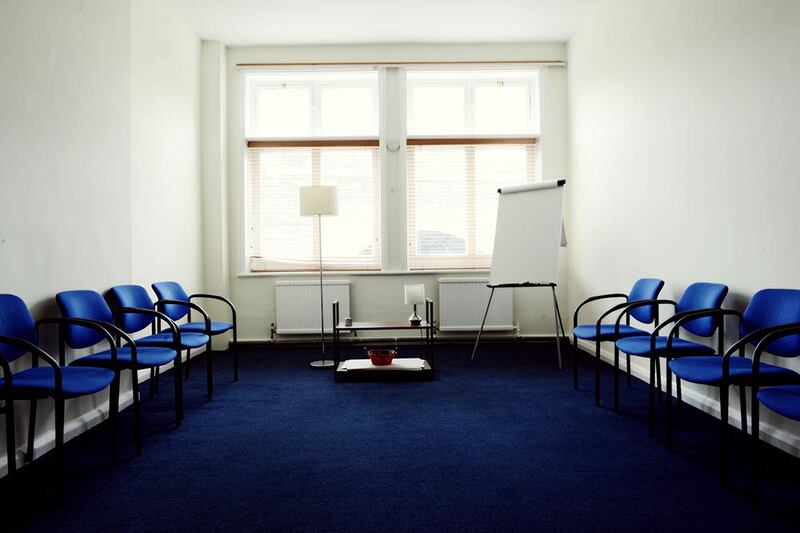 Ground Floor G7 Small Counselling room - 1-3 people 11.50 / 12.50 n.a. n.a. n.a. 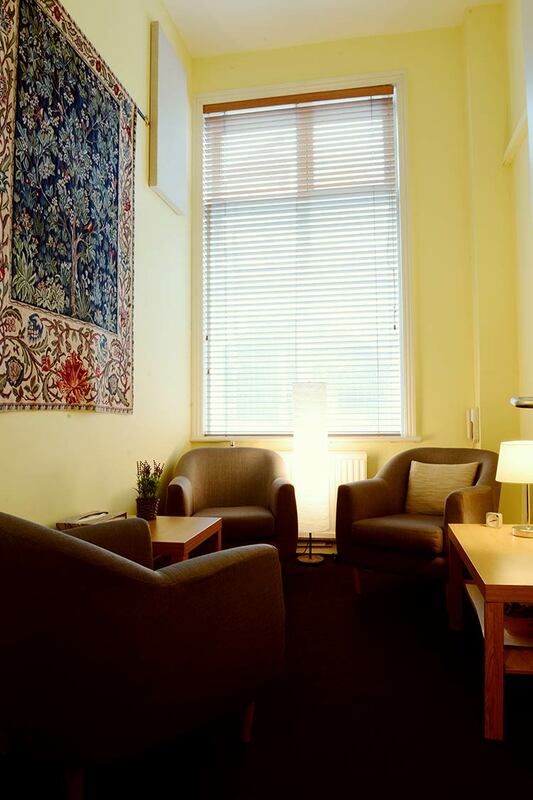 Ground Floor G8 Small Counselling room - 1-3 people 11.50 / 12.50 n.a. n.a. n.a. 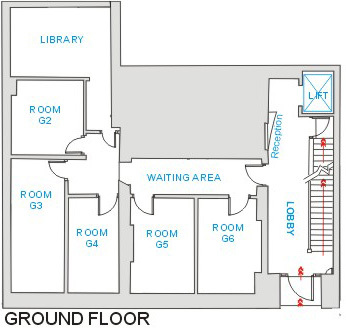 Ground Floor G9 Small Counselling room - 1-3 people 11.50 / 12.50 n.a. n.a. n.a. Ground Floor G10 Small Counselling room - 1-3 people 11.50 / 12.50 n.a. n.a. n.a. The first floor has 4 training rooms. There are two large training rooms that front on the Tooley Street side of the building that are approximately 460 sq ft and 730 sq ft respectively. The two remaining rooms are medium sized, that front the Bermondsey Street side of the building, and are approximately 290 sq ft and 280 sq ft respectively. 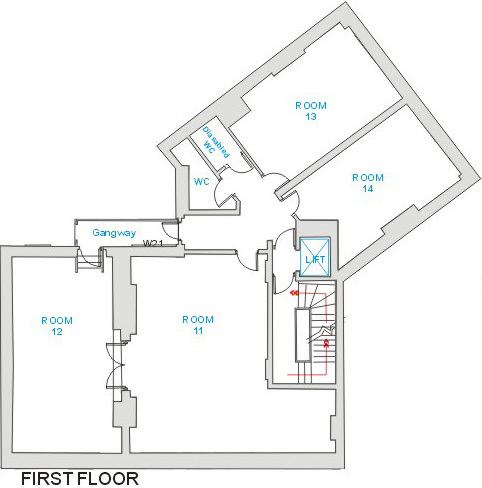 A unisex and a disabled toilet facility are located central to the four rooms. The building is wheelchair accessible via a portable ramp at the front door, and has wheelchair access to the lift and toilet facilities. Please contact the office in advance to arrange for someone to meet you at the door.